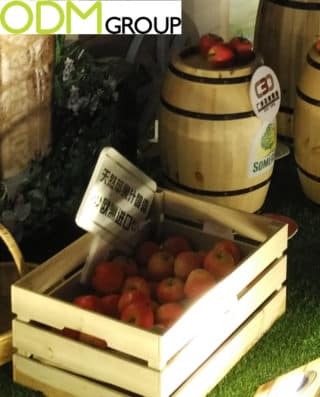 The cider market recently underwent through a real renaissance and useless to say, one of the major players on the field is Somersby. In this blog we will discuss the creative POS display marketing of the Danish brand. Somersby apple cider belongs to the Carlsberg Group and it is among the biggest selling and fastest growing international ciders in the world. Today, it is a very popular alternative to beer and wine, and a natural alternative to flavoured beverages. It is not difficult to guess the Danish company’s target group: young adults consumers. Somersby was created as a target-oriented strategy to cover that only group that Carlsberg wasn’t able to reach with beer. 2013, however is also the year competitors launched Radler, a very similar product. At the same time, however, Somersby was able to outclass them. The question is how? 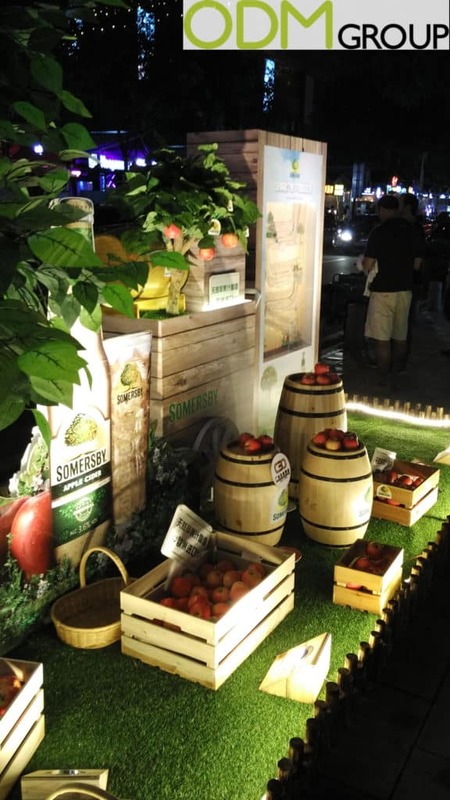 Let us take give a look to the creative POS display by Somersby. We think most of the success of Somersby originally came from the launch of the product with a different approach. Normally people are advertised about brands with products and are shown images and qualities. Carlsberg this time instead transmitted the values of the brand first. In this creative POS display you can’t see any bottle of cider, just a huge poster to give a general idea of what they sell and nothing else. What you will find are objects related to the production and the history of their cider itself. On a synthetic grass carpet you can see some wood boxes, barrels full of apples and trees. On the box on the right it is explained the whole process of cider-making. Also here and there you can notice some signs specifying origins of the apples, ingredients used and so on. Why is this creative POS display an excellent example of marketing? Raise brand awareness: Consumers do not demand for things without a prior knowledge of them. This creative POS display is perfect to increase consumers’ willingness to try Somersby and tease their brand awareness. Due to its unique structure and choice of using objects related to cider, it is not diffcult to higher brand exposure and POS attractiveness. 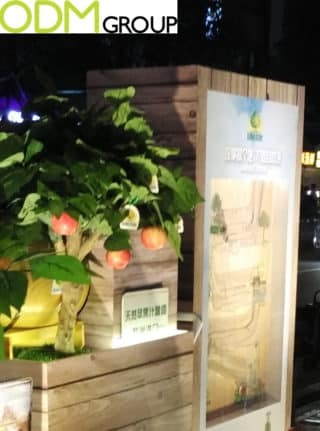 Added value: As you can see from this POS display marketing, Somersby decided to avoid a traditional point of sale showing its final products, but it opted to enhance value to let people to create a personality of the product itself. Greater sales: For companies sales are an essential part of their financial wealth, the higher the sales the higer the revenues. Here, with a strinking display combinend with proper advertising agents, you are able to boost your visibility, raise brand awareness and value and therefore revenues. If you are interested, please do not hesitate to contact us. The display can be customized towards the idea you want to realize and we would like to provide you with our quality sourcing, designing and manufacturing services necessary to help you in your next promotional campaign.